Thread: How many *currently* Delphi programmers and does it worth to invest on it? How many *currently* Delphi programmers and does it worth to invest on it? I wonder how may currently Delphi programmers are using it and does it worth to invest on it? 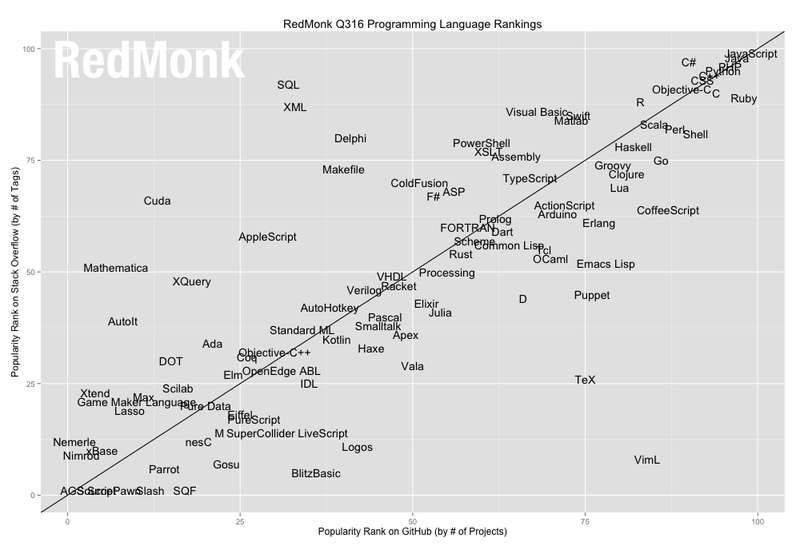 Does Delphi programmers are increasing or decreasing? For mobile development iOS and Android when now we have Xamarin for free does Delphi is the one should I choose or Xamarin? Re: How many *currently* Delphi programmers and does it worth to invest on it? Hi! Surely you might have meant to ask "how many", haven't you? I don't know the answer to your quiestions on numers, so speak on myself: I use Delphi for fun testing little things that may have come to mind and for work. I didnt't try mobile, just Windows desktop. I haven't ever tried neither Xamarin, nor native mobile solutions. Would be fun to try IoT features with Delphi if there were available. I still use Delphi daily but the mobile solution, to be frank, is sorely lacking when compared to Xamarin (particularly in the price, documentation, and community department). I REALLY wanted to use FireMonkey but kept running into roadblocks and especially performance issues--albeit to be fair I haven't looked at it in depth in about 18 months. I know it has improved, but Xamarin (provided you are comfortable with .NET and C#) has so much more support, tooling, and now with Microsoft's backing, resources. I also like what the RemObjects folks are doing as well (that staff does some kick a** work with limited resources IMO), but as a business owner that has to hire programmers, it is much easier to find a qualified .NET/Visual Studio programmer and even those familiar with Xamarin than it is FMX or RemObjects. Also, and I can definitely speak to this from experience, if you ever want to sell your business or have an exit strategy to do so, you will find the going much easier with a Microsoft backed stack (I actually had to explain what Delphi was to the last inquiry we had). Long and short of it, and this is just one entrepreneur's opinion, you can't go wrong with Xamarin provided you either possess the skill set or are willing to put the time in to acquire it. There isn't a magic bullet--to build a truly worthy mobile app, you are going to have to learn the platform independent of whatever tooling you choose to build your application with. If you want to stay with Delphi/Pascal, FMX is an option, and an improving one, but I don't foresee 3 years down the road anyone regretting their mobile platform being developed with Xamarin whereas with FMX I think the forecast is a bit (lot) murkier. I may be in the minority, but I wouldn't shed a tear if our new overlords completely dumped FMX and put resources into what most of us use daily, Delphi/VCL to build Windows applications. There is still nothing better, faster, and easier to deploy than a Delphi built app (and I have a slew of experience with .NET desktop apps). I still use Delphi daily but the mobile solution, to be frank, is sorely lacking when compared to Xamarin (particularly in the price, documentation, and community department). of the non free editions. fresh for each platform the way that platform does UI. but $999 / platform? That's obnoxious. you develop the GUI once and it uses native controls under the covers. Too bad it only works for iOS / Android currently. Yes they have that nowadays, but only for 1.5 years or so. The biggest problem with FireMonkey is that it is not support BiDi RightToLeft especially for Android as for iOS I can still use TMS iCL. On the other hand Playing around with Xamarin Forms and Xamarin Native it is so hard and so much work need to be done in order to get something where with Delphi is just drag and drop component into your form as for example TMultiView in Delphi. Also does EMB will last/stay on this market for long after IDERA acquisition? that is why I asked if Delphi programmers are increasing or decreasing? | it worth to invest on it? | | What is "it"??? British or American dialects (as me, for example). Tiobe can be useful in this case. the ones I would expect to be. I also think that Xamarin being now part of VS is quite attractive. However, stop promoting this nonsense. Xamarin is not free, just like Visual Studio (which is needed to run Xamarin) is not free. I've been developing applications for 20+ years, have worked for many different companies and not a single one can use Visual Studio for free, because there is no free VS license which can be used by any of these companies. Xamarin Studio for OS X is free. What part of the "Small teams" in the license did you miss? A free, full-featured IDE for Mac users to create Android and iOS apps using Xamarin. Again: IT IS NOT FREE! "Small teams" what is the definition for "Small teams"? for how many developers? can use the software concurrently to develop and test your applications. majority ownership), are controlled by, or are under common control with an organization"
cannot use it for commerical development for free even if there are 5 or less users using it. Yes, you are correct. Thus, it has never been free, although one can be entitled to use a free license while his situation allows it, according to the license. Tall teams = a team of Dutch people. So basically us Kiwis then? Only the ones with furry feet. My company is small enough to qualify for "small teams". So, yes it is free for me. The fact that you are entitled to use a free license does not mean that the product is free. This is so true that, the moment that your company start making more than $ 1 million per year, you cannot use it anymore. Thus, it has never been free, because you cannot charge for anything that has been given for free before. I hope you guys can understand this difference. you develop, using it (the short version of GPL). You are using "free" and "I don't have to pay for it" as identical things. Of course, they are not. It is more like apple-oranges. | things. Of course, they are not. especially if you have some experience doing the same with Delphi. Yes, Dave I did play around with Xamarin Forms for cross-platform and what you can get with Delphi with just drag&drop to a form is a lot of work to do with Xamarin. BUT and this is a BIG disadvantage of Delphi/FireMonkey is the lack of full BiDi RightToLeft especially for Android that hold around 65% market share and there are billions of BiDi RightToLeft Readers/Writers around the world. Yes I am aware of it but D.P.F Delphi Android Native Components does not support Delphi Berlin 10.1 and for iOS I can use TMS iCL. Android is the main problem with BiDi not supported by FireMonkey. support helps to get this sooner? Just moaning here in this group will not achieve anything in this regard. released, in 2011(almost 5 years now). RSP-11899, RSP-13298 and RSP-13372), and I haven't checked on QC. It looks InstallAware is not famous enough. They had a spat with Wikipedia because their page was removed because the product was not notable enough <G>.